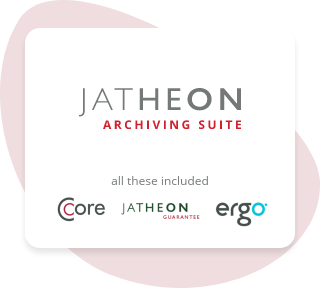 Archive email securely and easily using industry’s best archiving tools. for organizations of all sizes, in regulated industries and beyond. Your business information must never get compromised. Our archiving solutions make sure it doesn’t. 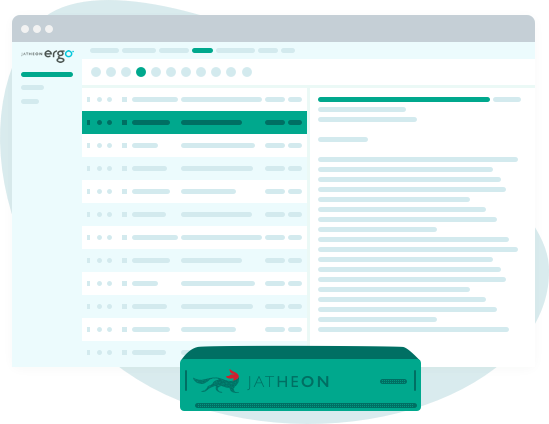 A flexible, modular archiving system centered around a robust email archiving appliance with optional social media and mobile archiving functionality. The fastest and most secure cloud email archiving solution with revolutionary user interface. Designed with small and medium-sized organizations in mind. Ever since we designed the world’s first on-premise email archiving solution, we’ve been passionate about providing organizations with secure, reliable and versatile compliance, eDiscovery and governance solutions for long-term retention and agility of unstructured data. It is our mission to simplify retention, retrieval and monitoring of corporate email, social media and mobile communications and provide better search capabilities for compliance officers, IT departments and end users. 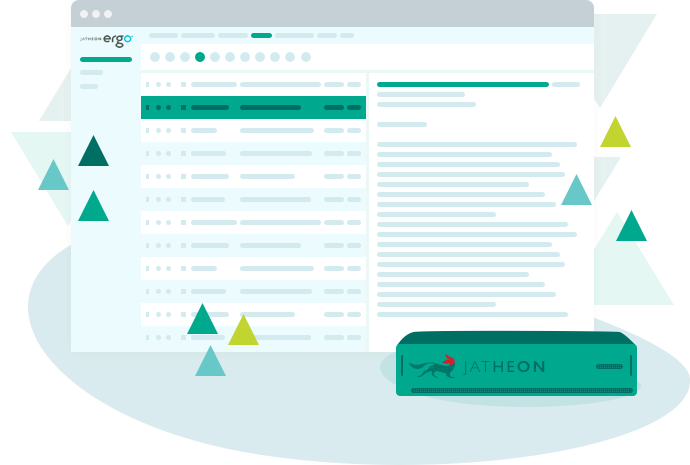 Who are Jatheon’s Solutions for? Archiving email will help you ensure your email, social media and mobile communication is searchable and stored in a compliant format. With email archiving, school districts can prevent cyberbullying and stay in line with FERPA, FOIA, FRCP and other compliance requirements. In financial services industry, email archiving solutions keep organizations compliant with FINRA, SEC, SOX and other regulations, ensure that business correspondence runs smoothly and help to save time and resources spent on eDiscovery. Government agencies handle a lot of electronic information and have thousands of open records requests to respond to. Email archiving technology helps agencies to pinpoint relevant data in vast amounts of information, as well as ensure compliance and greater efficiency. When dealing with confidential PHI and sensitive data, there’s no room for improvisation. With email archiving technology, healthcare organizations can ensure full HIPAA and HITECH compliance, minimize data breaches and improve administration and productivity. You know better than anyone that a single piece of evidence can make all the difference. Archiving email, social media and mobile communication will let you locate all your electronic information easily and ensure additional security for your sensitive client data. In your industry, organizations exchange private, business-critical information with clients on a daily basis. An email archiving solution will help you keep your communication channels under control, observe various compliance laws and respect data security guidelines. Rock Star Support. Nice job! Visit our Library for 50+ materials – ebooks, white papers, infographics, webinars and case studies. 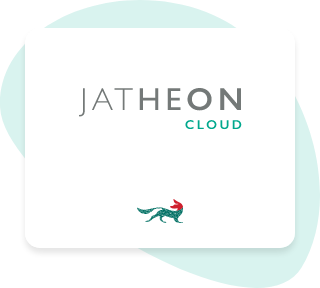 Get a personal tour of Jatheon’s cloud archiving platform to see how to better manage your corporate email and messaging data. Leave us your contact details and we’ll get in touch and show you around.